Our Leadership Academy Alumni Member Spotlight series highlights the graduates of the program. We want to introduce some of our wonderful REALTOR® leaders and showcase how Leadership Academy helped them grow. This month we are shining our spotlight on Aaron Wilken. Aaron Wilken, a member of the Greater Springfield Board of REALTORS®, went into real estate right after he graduated from Missouri State University. He was drawn to the business because it allows professionals to create their own levels of success and income, but Wilken has found that being a REALTOR® is rewarding as well. “My favorite part of my job is meeting and interacting with people and becoming a positive factor in their lives,” he said. Wilken was encouraged to apply for Leadership Academy by his local board leaders, and he graduated from the program in 2006. Since graduating from Leadership Academy, Wilken became more involved with the association. He has held many leadership positions with his local board, including President, and has continuously served on several local committees. 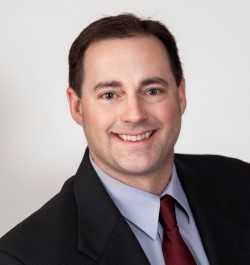 He is currently involved on the state level as a Missouri REALTORS® Director.